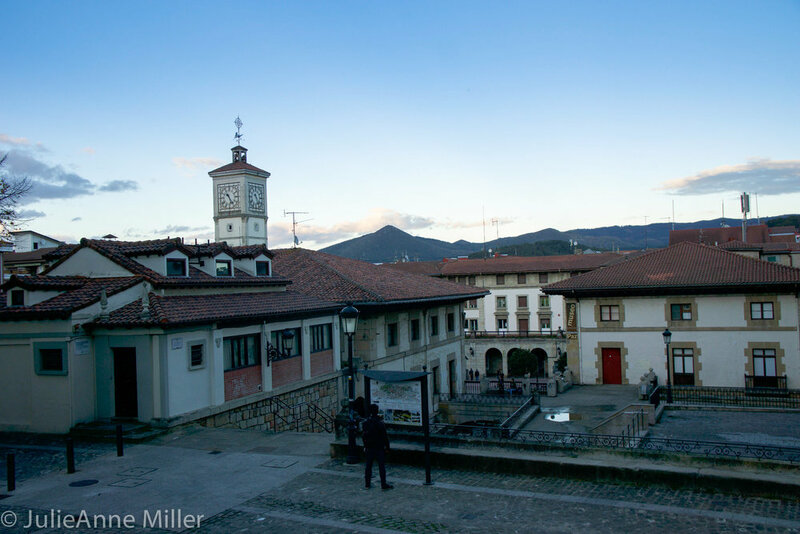 Basque has an interesting history, especially in the area known as Biscay. From medieval times, the town of Guernica was the central meeting location for Biscay's General Assembly of provincial leaders. Two representatives from each town would gather near a tall oak tree to discuss important civic matters and develop laws. This early form of democracy was noted by the philosopher Rousseau. 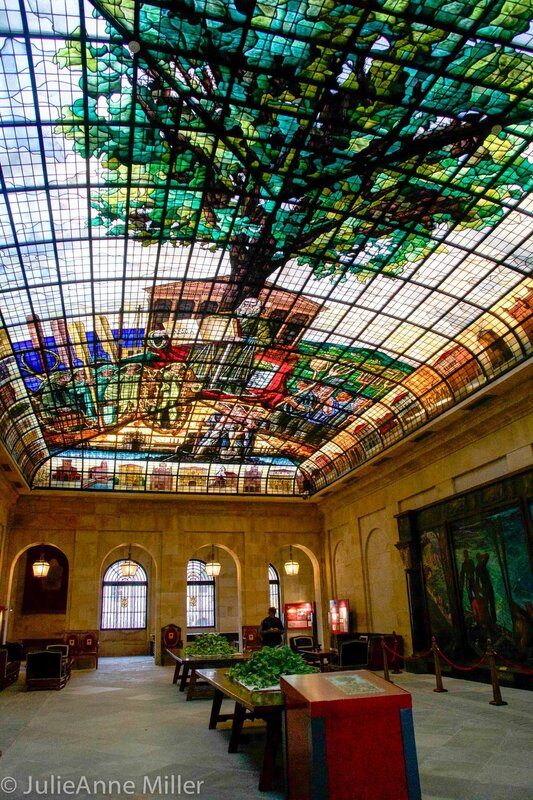 Guernica's Assembly House and the Tree of Gernika remain symbols of the Basque people's history and the town is still a meeting point for Euskal Herria (Basque Country) territories. 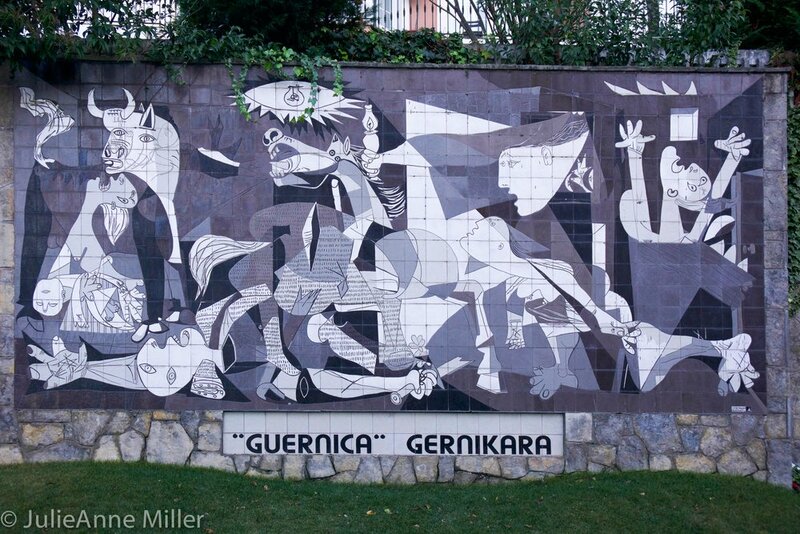 Guernica is also infamous for the 1937 bombing by the Nazi German Luftwaffe, acting to support Francisco Franco's efforts to overthrow the Basque government. The small city was almost entirely flattened and perhaps a thousand people were killed. Picasso memorialized this horrific attack in a painting. We strolled around Guernica for a few hours, stumbled on part of the El Camino Way, and enjoyed the sculptures in the People's Park.